A hummingbird feeding dummy will be set up to allow the birds to acclimate to the form of a sitting person prior to the event. XENIA — Experience a personal encounter with a hummingbird with Greene County Parks & Trails (GCP&T) 1-3 p.m. Sunday, June 21, at James Ranch Park, 177 Fairground Road. A bird-feeding dummy will be set up prior to the event, allowing hummingbirds to become comfortable with feeding near humans. 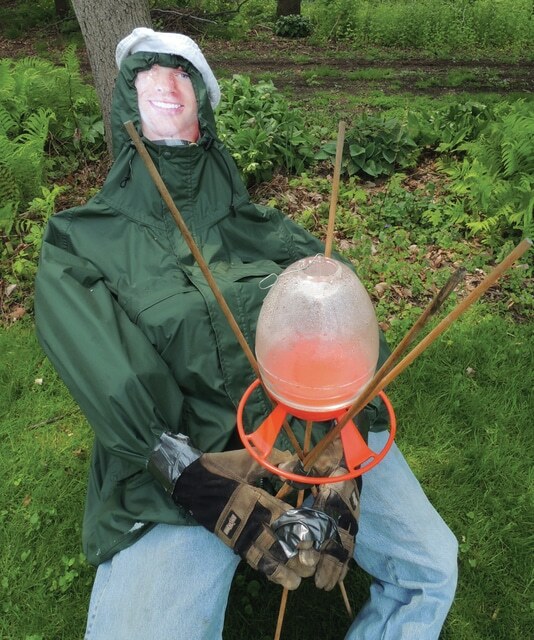 On the day of the event, participants will dress up in clothes similar to the dummy and will be provided with a hummingbird feeder to entice the birds closer. The cost for the program is $3 per person. For more information, call Greene County Parks & Trails at (937) 562-6440 or email kjenkins@co.greene.oh.us.